Question: What Colors and Shapes of Plates Should I Use in My Kitchen for Good Feng Shui? What plates should I use in my kitchen for good feng shui? Are round dishes better feng shui than the square ones? 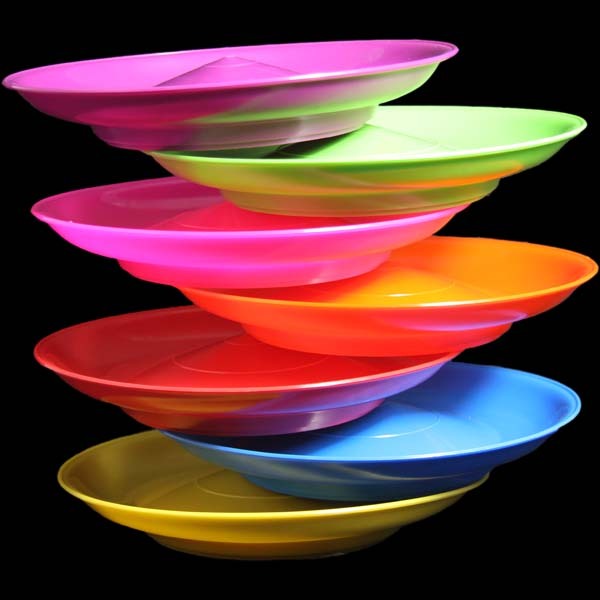 What color is best feng shui for plates, or does it depend on the kitchen location? Thank you very much. Answer: This is an interesting kitchen feng shui question, but I have to start with this: there are really no shoulds in effective feng shui applications. It is always best to go with what you love and are drawn to. In the course of understanding deeper levels of feng shui, you may feel drawn to make subtle (or not so subtle!) adjustments to your feng shui choices, but first always be guided by your feelings. Personally, I use white plates, mostly round ones. I think white color it is the best energy foundation for the beauty and nourishment of the food that is served on these plates. You will also notice that good restaurants always use white plates. To me, a clean white plate is like a fresh canvas waiting for the next masterpiece. Round is the shape that has the most flow, or harmonious movement, thus a fresh energy most suited to maintain, present and enjoy food. This is not to say that square shaped plates are bad feng shui, not at all, just different energy, slower, more grounding. I guess one could say that square shaped plates make you slow down more. Color-wise, I would say the best choice would be based on your personal preference, unless you have a big collection of dishes on display. In this case you would like to have colors appropriate for your kitchen decor scheme, as well as for the bagua area the kitchen is located in. Generally, blue is a good color for dishes when one is trying to lose weight; while red, orange and yellow will stimulate the appetite. Feel free to explore these short feng shui how-to videos for many useful and easy feng shui tips for your home.